I have finally completed my October goal of running my first ever 10k. A total of 40k run in October. It was harder (and slower!) than I thought but I have my first running blister for proof! Thanks to my friends and family for running with me. 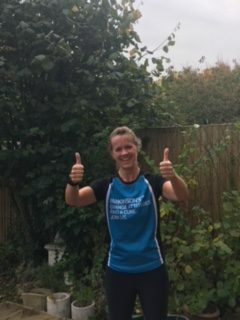 Thank you for all your support and donations to Parkinson’s UK. I have enjoyed the challenge and will be look forward to my next ones in the New Year – swimming and cycling! ← The improtance of humour!